Be the first to share your favorite memory, photo or story of Anderson. This memorial page is dedicated for family, friends and future generations to celebrate the life of their loved one. Anderson “Tom” Cole, 86, passed away Saturday, April 13, 2019 at St. Joseph Hospital in Lexington. He was born in Madison Co., Ky. on March 13, 1933, the son of the late Maynard and Rhoda Clouse Cole. Tom was a tobacco and cattle farmer, having raised many tobacco crops. An outdoorsman, he loved gardening, fishing and hunting. He loved his family and enjoyed listening to Bluegrass Music, especially Lester Flatt & Earl Scruggs. Survivors include one son, Anderson Cole, Jr. (Diana), of Richmond; two daughters, Brenda Lee Cole (Doug Mayfield) and Diana Collier (Jason Carpenter), of Richmond; one sister, Rosa Lee Lawson, of Rockcastle Co.; grandchildren, Christopher Cole, Alan Cole, Rhoda Culton, Crystal Smith, Tony Land, Jonathon Land, Lisa Coyle and Kevin Collier; great-grandchildren, Alexis Baker, Seraphine Baker, Gwenavier Coyle, Dakota Land, Madison Land, Mackenize Land and Journey Cole; several nieces and nephews. 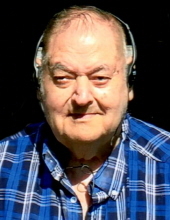 He was preceded in death by his wife, Wilma Katherine Goins Cole; granddaughter, Maggie Cole; siblings, Ed, Edith, Alfred, Neal “Bud”, and Maynard. Funeral Services will be conducted at 11 AM Wednesday, April 17, 2019, at Combs, Parsons & Collins Funeral Home with Bro. Chris Cobb officiating. Burial will follow in the Madison Memorial Gardens. Visitation will be from 6-9 PM Tuesday at the funeral home. Pallbearers will be Alan Cole, Kevin Collier, Tony Land, Taylor Collier, George Jones, Bobby Lovings and Buddy Cole. "Email Address" would like to share the life celebration of Anderson "Tom" Cole. Click on the "link" to go to share a favorite memory or leave a condolence message for the family.